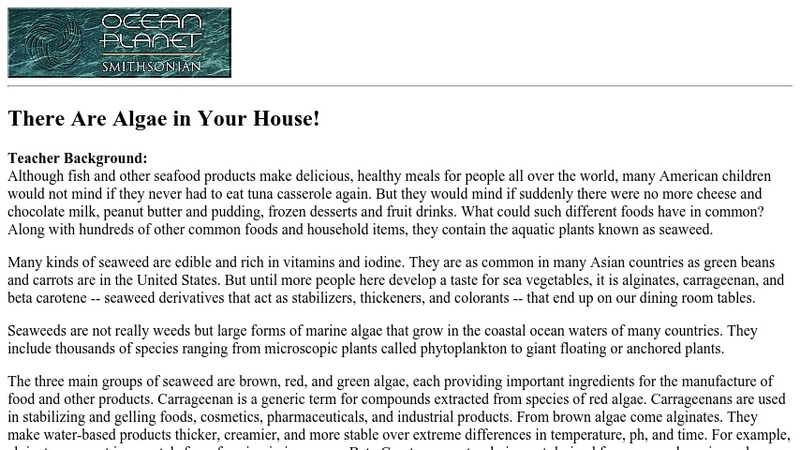 Ocean Planet: There Are Algae in Your House! As part of this activity, students look in their own homes for foods that contain ingredients derived from seaweed . The activity points out that seaweeds are not really weeds but large forms of marine algae, and that seaweed derivatives are used in a large variety of foods and household products. Objectives, a list of materials, instructions, and a take-home worksheet are included.